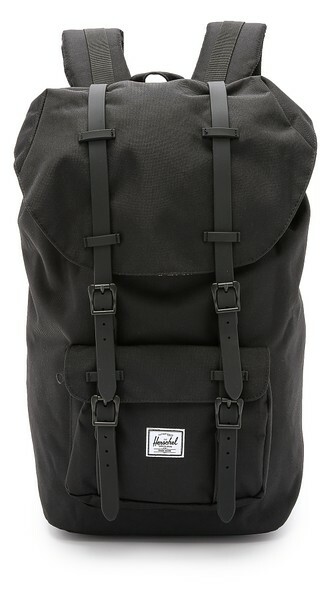 Herschel gear is durable, practical, stylish, functional, manly and even a bit innovative. Whether your plans are to tackle the Las Vegas Strip over a weekend or a serious motor bike trip through South America, Hershel has the kind of gear that won’t let you down. The Nelson Backpack is a time-honored tradition among men who haul their stuff and like to make sure it gets where it was intended to be without any fuss. It comes with the standard 3 mesh pockets and one pouch pocket, including a padded laptop compartment. The Little America Backpack takes it up a notch for when you don’t plan on returning back home anytime soon. 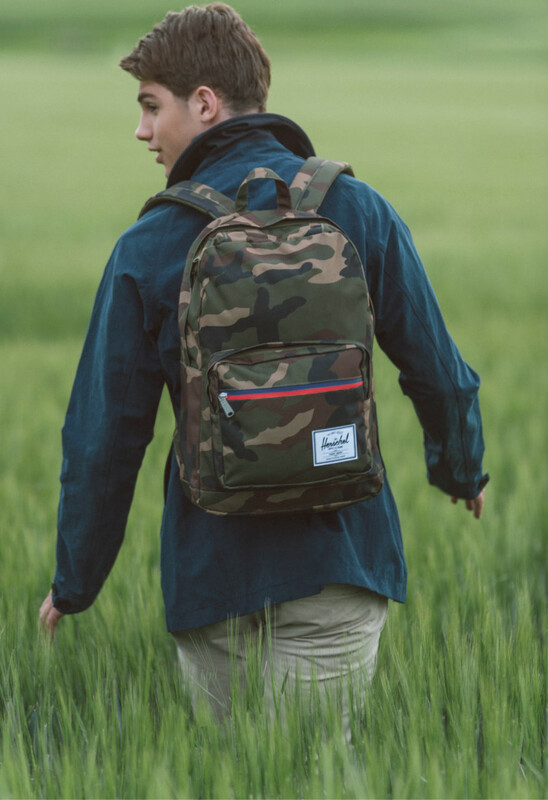 This is one of Herschel’s rugged mountaineering packs with Nylon weave, a top loading compartment with a padded area for your laptop, side pockets and a pass-through port for your headphones. 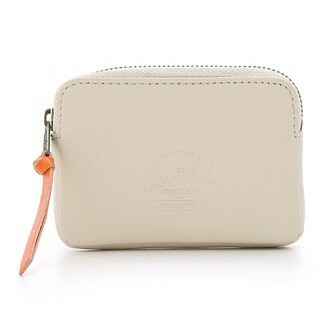 The straps have magnetic closures for quick release and a key clasp for the zip pouch. This is not all that ‘little’ extending a full 20-inches tall and 11-inches wide. You may like going to the gym, but probably don’t prefer dropping your dirty shoes on top of the rest of your gear. 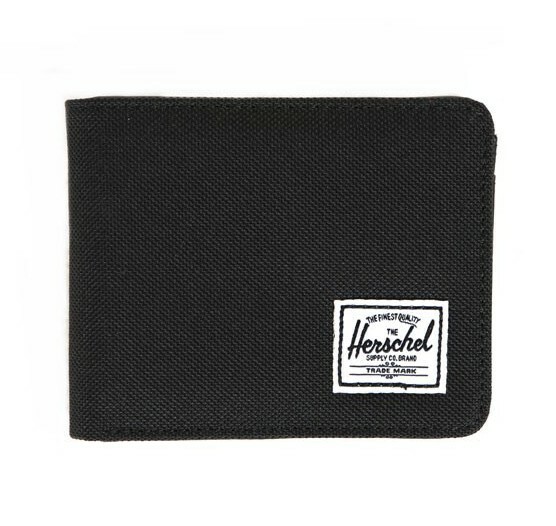 You could always grab a grocery bag, but we think you’d prefer the Herschel zippered shoe pocket. 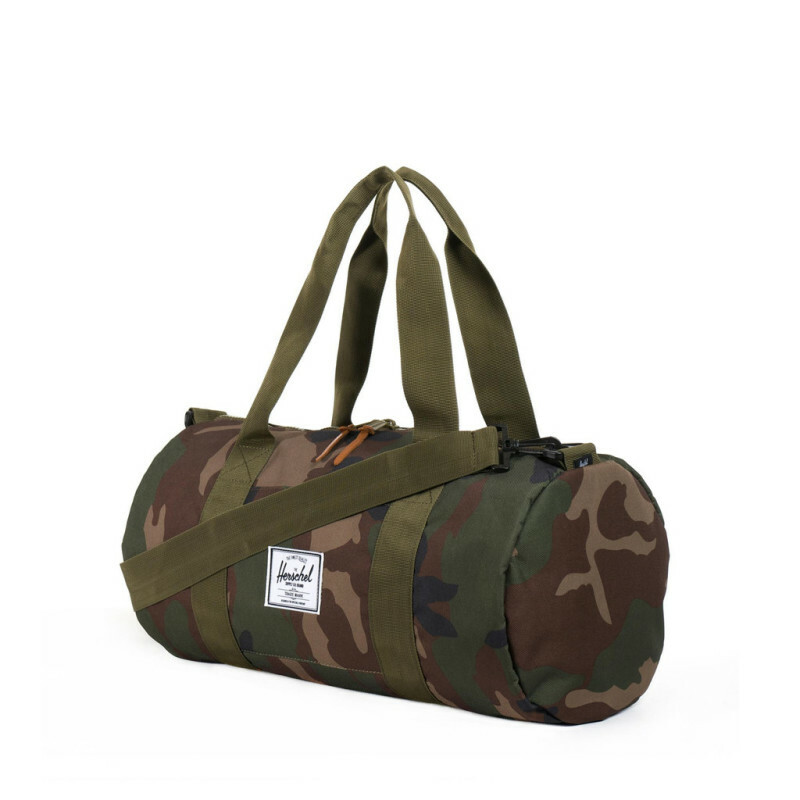 The pocket is a fantastic addition on this Outfitter Duffel, and one zipper gives you easy access to everything you need – the way it should be. Its contrasting handles and shoulder strap are really just for show… but we like that. 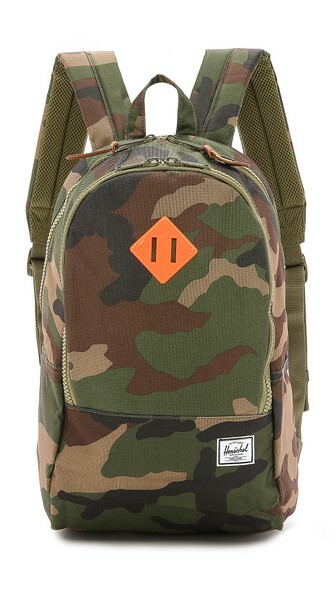 Herschel also offers a slightly more compact camo option (minus the shoe port). They like to call this one their Sutton Mid Duffel, and it’s all the bag most guys will ever need for a short excursion. I don’t know about you, but my travel kit has been looking a little worse for wear the past couple years. So I swapped it out for a Studio Chapter Travel Kit by Herschel. 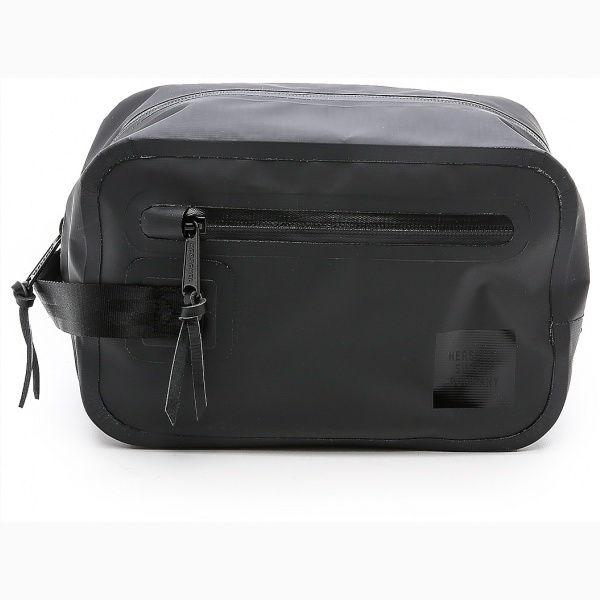 This is one of their waterproof travel kits, featuring PVC, a welded zipper and one great big compartment to fit all your important grooming gadgets. Simple, effective and absolutely no maintenance (unlike some girlfriends). For your daily carry may we suggest Herschel’s Roy Bifold Wallet, which offers a slim profile, strong Nylon and eight card slots. 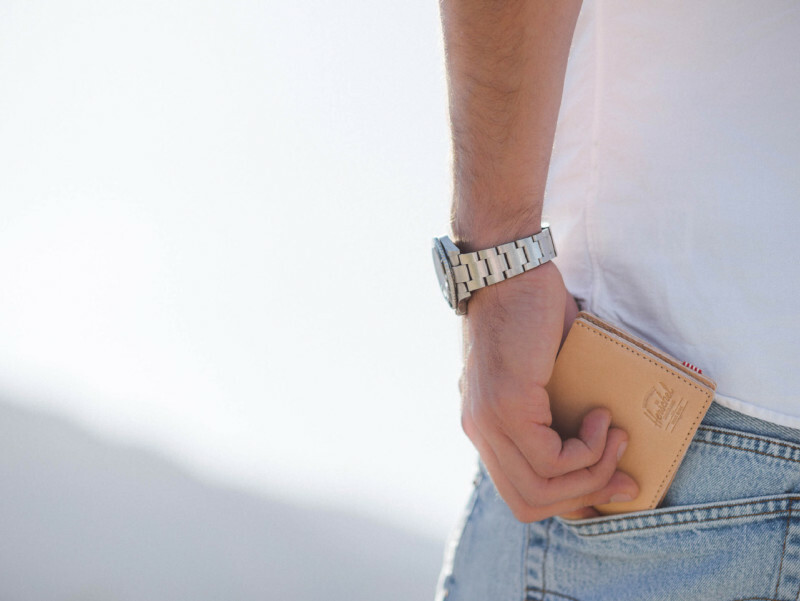 However, when it’s necessary for your wallet to take on more of a legacy-worthy presence, the Herschel Oxford Wallet features fine bone leather, wrap-around zipper and is fully lined so your money stays cozy. 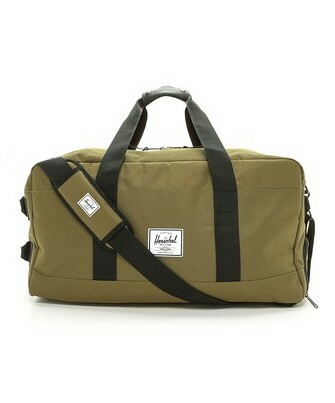 This month we received a Bad Hills Workshop Duffel from Herschel’s Spring Collection from our good friends at #MyDetails. 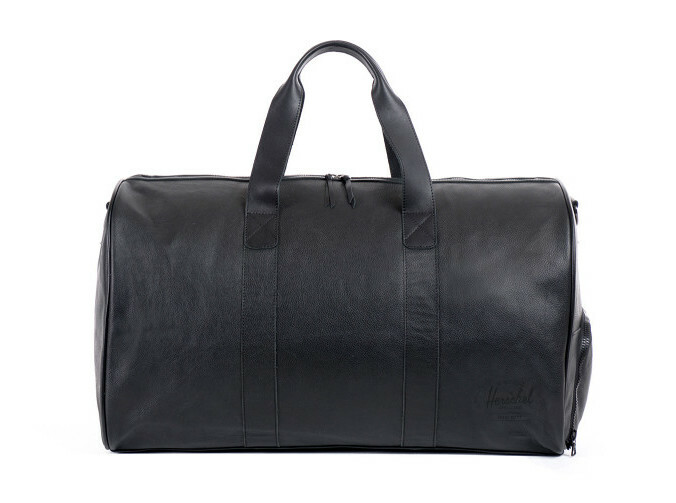 And let me tell you, it is truly a beautiful weekender bag. I mean, I admire Nylon weave for durability, but nothing beats the feel of black tanned leather around all your manly essentials. It just feels… right. Herschel tops these bags off with some silver Swiss RiRi hardware, black piping and the spicy aroma of fine leather—and we were smitten. That’s Bad Hills Workshop baby! Get more info here.